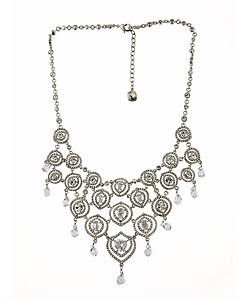 Try The Trend: How To Wear a Bib Necklace | Fashion. Style. Beauty. | Life is short. Live well. 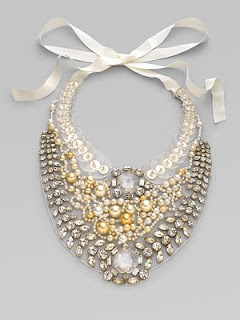 I can’t say that every trend works on everyone but there’s one that all of us can try and that’s the bib necklace. A good statement jewelry piece can be an instant go-to in your wardrobe that can easily transform any piece from “meh” to “WOW” in less than five seconds. 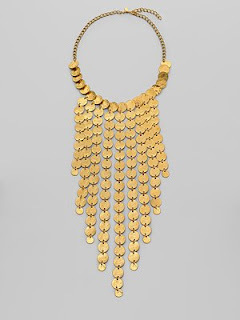 Pair a bib necklace with more simple pieces (I’d advise against patterns), but don’t think boring: these necklaces can turn a simple v-neck or scoopneck t-shirt into a glamorous outfit and can add spice to just about any sheath dress. This is about drawing attention to the neck, so make sure that the neckline is either open or simple (no embellishments on top to compete with it) and keep other accessories below the neck and simple: a classic ring, a simple bracelet or just a great watch will suffice. 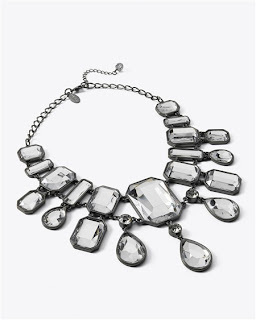 Cash and Carry: White House Black Market’s Mega Crystal Necklace ($68) and Jet/Crystal Bib Necklace ($78) are sure-fire stunners. Credit/Debit: The Kenneth Jay Lane Coin Bib Necklace ($290) and Carolee Crystal Bib Necklace ($295) are slightly more but are versatile statement-pieces that can become a signature part of you wardrobe. Blow the Bank: Sometimes you have to live a little. 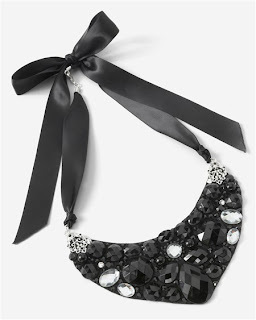 If you can afford it, I’ll co-sign on this Ranjana Khan Beaded Bib Tie Necklace (seen at top, $1190).